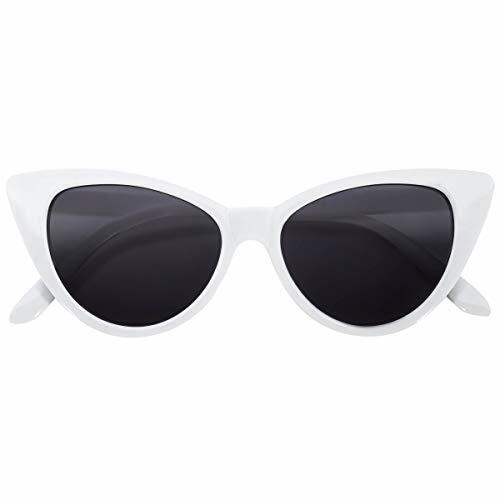 Cat Eye Vintage White Frame Smoke Lens Sunglasses. 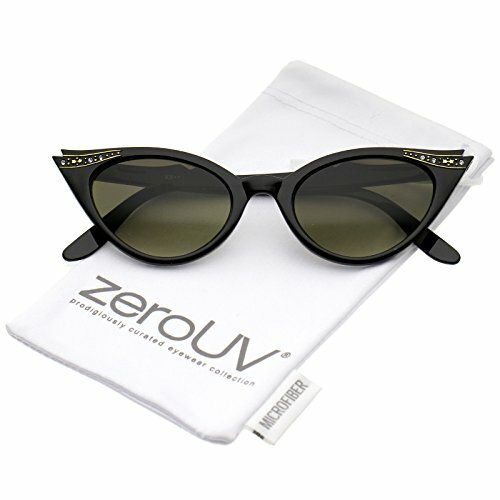 UVB UVA protection from the sun. 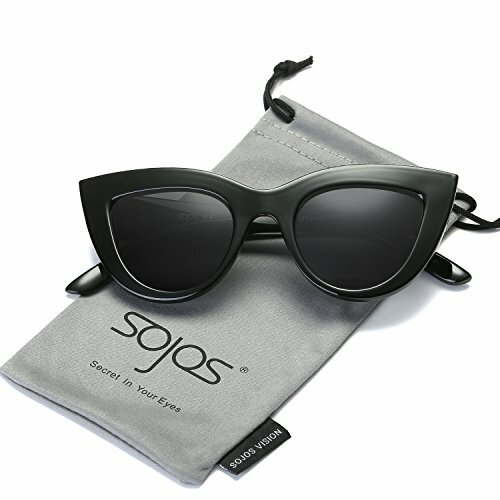 These unique vintage inspired cateye glasses are a timeless reminder of the 50-60's when these glasses were "the shape". 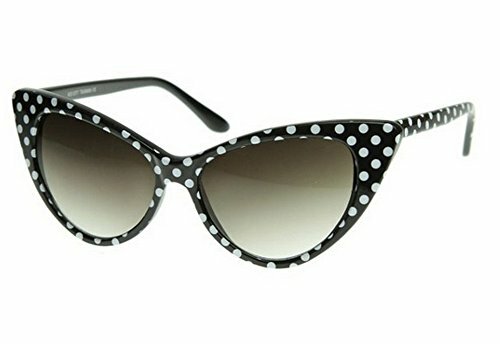 Totally cute, funky, hip, and uniquely retro these would be a great addition to an outfit to have a flirty, smart, and sophisticated look. Hey, have some fun with these. These are a basic plastic frame and lens--and are a "value" pair of glasses. A great vintage inspired fashion accessory. 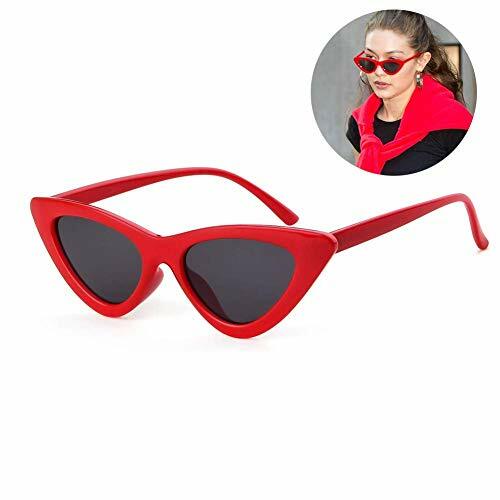 You can pay more for sunglasses--but simple sunglasses perform the function just fine and offer great value versus the expensive pairs. 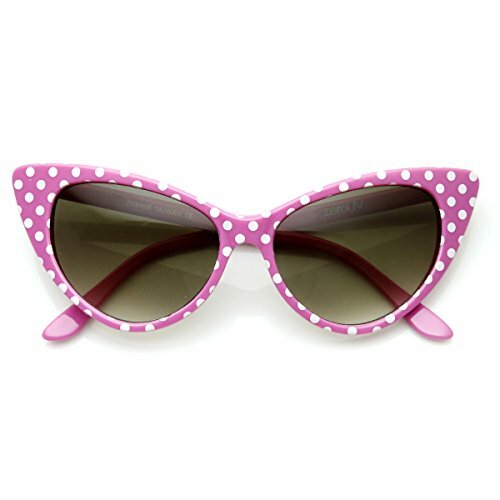 DetailsCreate a fun retro look with these cute cat eye sunglasses featuring an oversize silhouette and an adorable polka dot print. 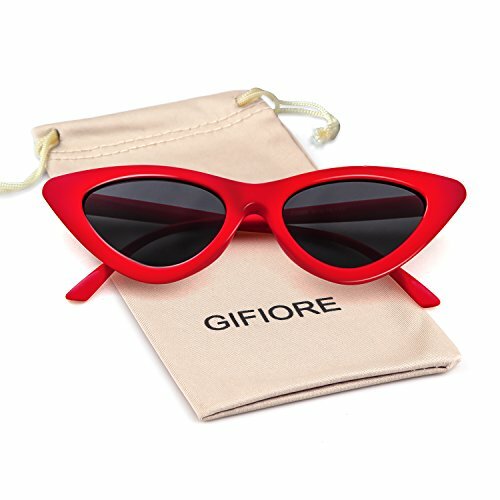 Complete with neutral-colored lenses for easy wear and high sitting temples, these 50's inspired sunglasses add a unique flair to your favorite outfits. 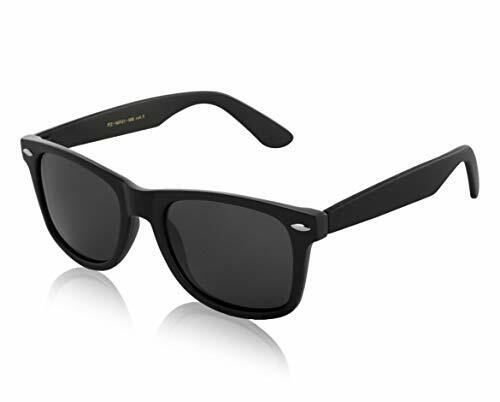 Made with a plastic based frame, metal hinges, and polycarbonate UV400 protected lenses.MeasurementsLens Height: 40 mm (1.58 in)Lens Width: 54 mm (1.97 in)Bridge: 18 mm (0.71 in)Frame Width: 146 mm (5.75 in)Arm Length: 140 mm (5.52 in)We Are Inspirational EyewearAn American company based out of Huntington Beach, California, zeroUV was founded in 2001 by eyewear enthusiasts striving to bring the latest in eyewear fashion at a budget friendly price.Best Customer Service CareMeet our friendly customer service team focused on providing the best shopping experience and making every customer happy.Quality ControlWe care about how you feel about our product. Every piece of eyewear is given extra attention for quality and packaged with care before it leaves our warehouse.Price ConsciousWe are a family owned company who believes you can wear any style at a fraction of the price without compromising quality. 50's Retro Sunglasses, Licensed Artwork PIN - 3D Rubber & Embossed Metal Lapel Pins - 1"